With the gala dinner starting in just a few minutes, it's a good time as any to have a look at the history of the palais grand-ducal. When the city of Luxembourg was granted the charter of emanicpation in 1244, it was decided that a town hall should be build at the New Market Square. 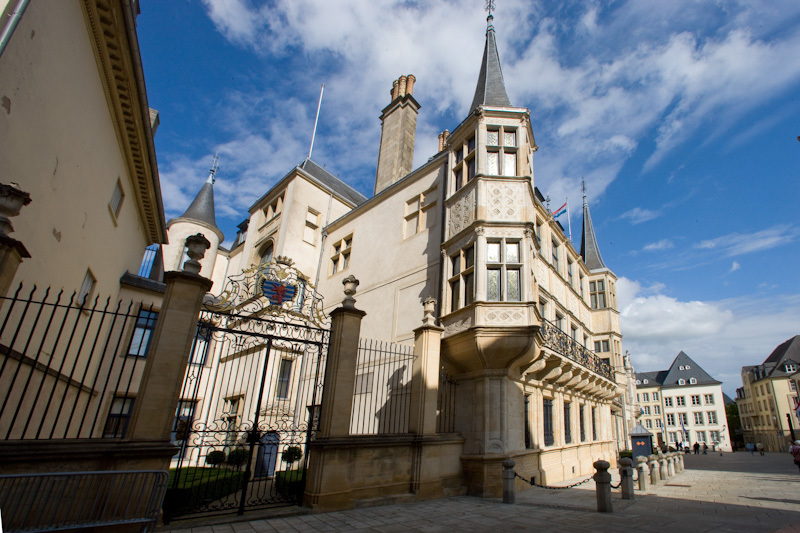 When the Burgundians seized Luxembourg 1443, Philip the Good decided that the Town Hall would be his palace and the seat of his council. In a gesture of appeasement, Mary of Burgundy granted the usufruct of the Town Hall to the magistrate, who resumed ownership three years later. In 1541 the then town hall was host for Emperor Charles V, Duke of Lorraine, when he visited Luxembourg. and ignited gunpowder stored in its basement. In 1573, twenty years after the fire, the rebuilding started and was finished a year later. In 1683, the building was bombarded by the troops of Louis XIV. During the attack its cellars provided refuge for inhabitants seeking shelter. Again, the building had to be restored. Subsequently, its main part became home to the estates, like the provincial representation. In 1741, the town hall was extended by a building commonly known as La Balance. During the French rule (1795-1814) the town hall was home to the prefecture of the new Département des Forêts and hosted Napoleon I. After the French rule, from 1815 onwards, the town hall was home to the Government Commission and the various other governments until 1867. Starting in 1848, not only the executive power was housed at the town hall, but also the legislative power when the Chamber of Deputies moved in. In 1860 the Chamber of Deputies moved to its present location to the right of the palace. During the gala dinner, some of the guests will actually have their meals in the rooms of the chamber. The former town hall accommodated William II, King of the Netherlands and Grand Duke of Luxembourg, as well as William III, during their occasional visits to Luxembourg. For some 28 years, Prince Henry – Grand Duke William III’s lieutenant-representative for Luxembourg affairs – and his wife regularly stayed there for longer periods of time. After the Luxembourg crisis in 1867, a lot of buildings in the city were vacated as the Prussian troops had to leave the city because it was demilitarised. This prompted administration to move into those empty buildings. Extensive refurbishment of the palace were undertaken when the Weilburg line of the House of Nassau took power in Luxembourg after the Orange-Nassau line had become extinct in male line. Grand Duke Adolph transformed existing premises completely and added of a new wing in the courtyard. During the occupation during World War II the palais was converted into a tavern. Art works and other values were taken away but thankfully later recovered. Since Grand Duke Jean became head of state in 1964, the palais has undergone various renovation keeping up with modern standarts and personal taste. 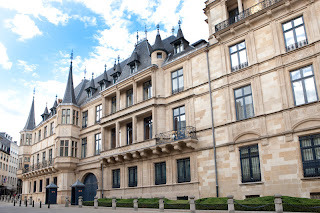 Article 44 of the Constitution of the Grand Duchy states that the palais grand-ducale in Luxembourg and Berg Castle are reserved for the residence of the reigning Grand Duke. Thus, the palais is the daily workplace of the Grand Duke, the Grand Duchess and the Hereditary Grand Duke. 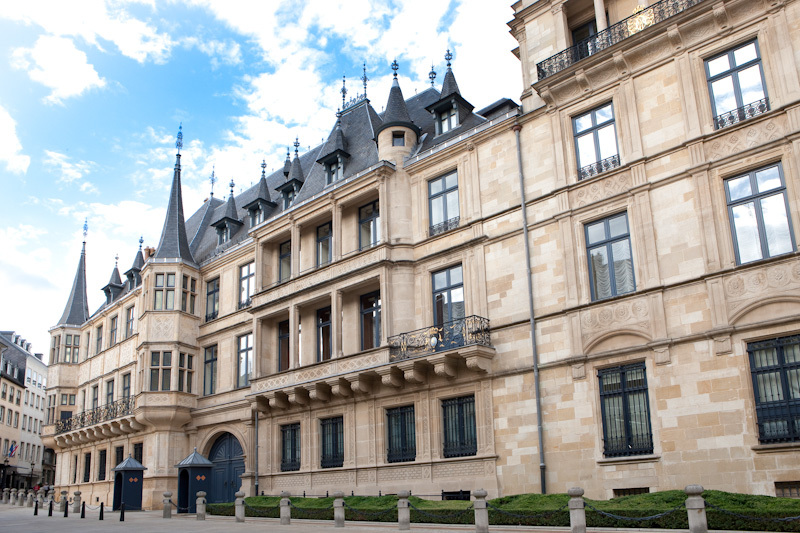 The palais plays various roles in various official functions in the Grand Duchy. On national day a gala dinner is hosted there, as will be tonight. Old Hallows Eve + Business Award Postponed.